Every day this week, Torontoist is exploring the future of repertory cinema in Toronto. We spoke to the theatre managers of four major rep cinemas to hear if rep cinema is dying, what it’s like to exist in a YouTube society, and what original programming has them most excited. Today, we look at the renovated Fox Theatre and its battle! against! the! killer! dvds! 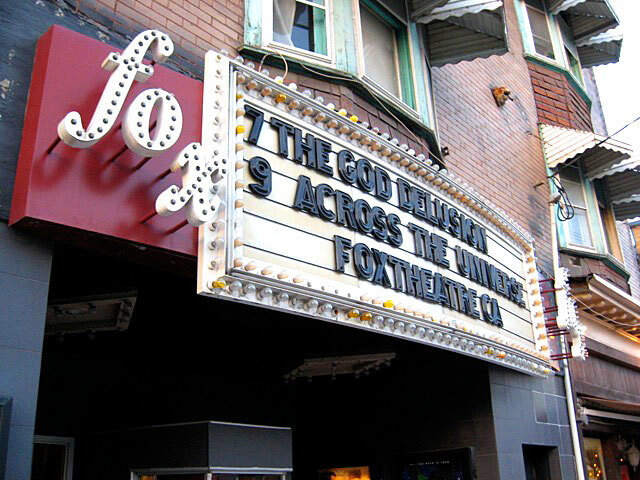 When Festival Cinemas flopped in 2006, the Fox Theatre was expected to shut down along with the other four Festival Cinemas theatres. But while the media lamented the Revue, the Kingsway, and the Paradise (the Royal had been quickly purchased by Cinema D Digital), the Fox quietly stayed open serving the Beaches, avoiding the constant closure rumours that affected other theatres (i.e. the Bloor). Still, Fox owner Jerry Szczur wanted out and closed the theatre for a month to hand the keys over to Andy Willick and Daniel Demois. Willick and Demois knew a thing or two about rep cinemas as the guys behind Napoleonic Theatres, which showed grindhouse films at the (now-defunct) Brunswick Theatre such as splatterfest Haute Tension and Ilsa: She Wolf of the SS. The duo renovated the theatre and reopened it in October 2007. Willick says that business at the Fox Theatre has been great: “Seats are getting filled; memberships and attendance are increasing. We’re doing really well.” He says the strategy has been to focus on the audience’s needs. Since taking over, the managers have been actively seeking customer feedback and, from the suggestions, have replaced the speakers to upgrade sound quality, reduced the pricing for children and seniors, and started a monthly e-newsletter. “Something we’re learning to do is to anticipate what will go wrong,” says Willick, who is enthusiastic about improving the theatre, whether it be as instrumental as the programming or as peripheral as the inclusion of a new cola flavour. Willick and Demois have a clear passion for film and aim to create a familial and personable atmosphere at the Fox Theatre through programming series like “Films We Like” or in the creation of the Fox Film Club. The films are classics in the popular sense, like In The Heat of the Night, or in the academic sense, like a Godard film, and there’s a sense that the films deserve to be seen on the silver screen—even if they’re available on DVD. However, the success of the Fox may prove that the prominence of DVD was only one factor in the decline of rep cinema attendance. 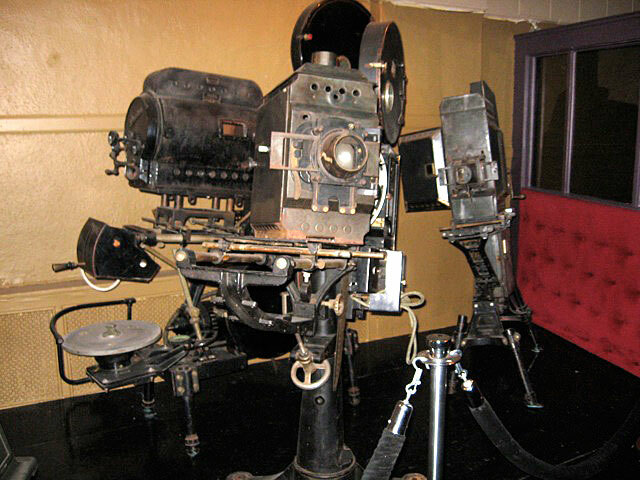 By personalizing the experience through the recommendation of films (through “Films We Like”) and creating a communal film watching experience (via the film club), Willick and Demois hope to create relationships with their customers that will have them get off the couch and into the Fox. Another fast-approaching issue is the YouTubization of film watching: people are increasingly seeing media through computers, cell phones, and iPods, and accepting it as the standard experience. Director David Lynch made headlines in January when he attacked the idea of watching films on an iPod. Some felt the filmmaker was out of touch with the times, while others used the defence that portable devices were used to watch old films—favourites they had seen multiple times—so quality wasn’t as important. However, data from younger viewers proves that theory wrong. A 2006 Los Angeles Times article revealed that almost half of surveyed adults aged 21–24 are comfortable watching a film from a computer, but only 6–7% would watch one on a cell phone or an iPod. Those willing to watch a film on a four-inch screen jumps for those surveyed ages 12–17: 11% for cell phones, 18% for iPod users. Will the future of film watching be on YouTube, cell phones, and iPods? “People become accustomed with what you’re giving them,” says Charlie Keil, program director of Film Studies at the University of Toronto. Willick and Demois have a list of projects he’s excited about that can’t be seen on an iPod. One is to screen a silent film with a live accompanist. He’s also working on an interactive event using Charlie and the Chocolate Factory, and hopes Willy Wonka will have the same dizzying effect as the gang from the Rocky Horror Picture Show. The men return to their alternative roots with Dion Conflict and his Trailer Trash series, as well as director double-headers—perhaps, a Dusk to Dawn grindhouse. Willick rattles off the ideas in a way Tarantino would be proud of—and with projected growth in 2008 and a slate of fresh ideas, Willick and Demois may prove that the venerable Fox is death proof.